The North American Poker Tour (NAPT) is a series of high-profile tournaments in Canada and the United States. The series has earned great deal of media attention, including a television broadcast of the final table of its main event. PokerStars, which is one of the largest online poker rooms in the world, launched the NAPT in 2010. The series was an immediate success, and PokerStars intended for it to serve an integral role in its growing international series. That world series includes many notable poker events, such as the Australia New Zealand Poker Tour (ANZPT), the Asian Pacific Poker Tour (APPT), the Latin America Poker Tour (LAPT) and the European Poker Tour (EPT). The first season had eight distinct events with prize pools as high as $14 million. PokerStars had additional events lined up for the tour's second season. Unfortunately, the tour suspended after only its fourth season two event. 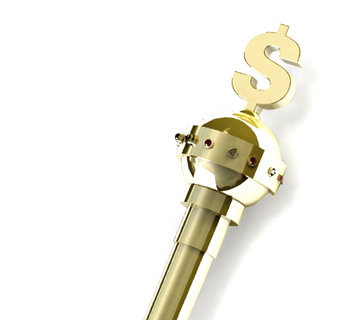 On April 15, 2011, the US seized pokerstars.com due to alleged bank fraud and money laundering. 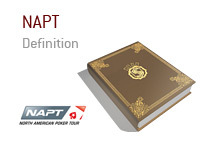 When that occurred, PokerStars suspended the NAPT immediately, and never made a public statement regarding its status. Since then, PokerStars has reached an agreement with the US and has regained control of pokerstars.com. Nevertheless, they have not yet updated the status of the NAPT, so it remains in limbo for the time being.